Providers nationwide are increasingly adopting prescription price transparency tools at the point of care to positively impact the quality of U.S. healthcare, according to the new Surescripts 2018 Impact Report: Prescription Price Transparency. Given the rising cost of prescription drugs, arming prescribers with patient-specific price information at the point of care is increasingly critical to the quality and safety of patient care. From 2017 to 2018, provider adoption of Real-Time Prescription Benefit grew by 1,338 percent. And the monthly number of benefit checks performed by these prescribers at the point of care surged from 298,000 in January 2018 to 6.3 million in December 2018. This growth was driven by the fact that most electronic health records (EHR) vendors, representing 80 percent of all prescribers nationwide, have chosen to implement Real-Time Prescription Benefit. With connections to the country’s leading pharmacy benefit managers (PBMs), prescribers can use the service, integrated with their EHR, to access accurate, patient-specific information for 76 percent of all U.S. patients. As a result, many prescribers delivered measurable cost savings to their patients in 2018. The leading specialties utilizing Real-Time Prescription Benefit to inform the prescribing process included family practice, internal medicine, obstetrics and gynecology, psychiatry and cardiology. On average, psychiatrists saved patients the most, at $228 per prescription. Medications in some therapeutic classes delivered more savings than others. For example, when presented with lower-cost alternatives, prescribers used Real-Time Prescription Benefit to save their patients an average of $105 per prescription for antidepressants and $88 per prescription of blood glucose-lowering medication (excluding insulin). Prescribers are also saving time by using Real-Time Prescription Benefit alongside Electronic Prior Authorization, and in many cases avoiding the notoriously frustrating and burdensome manual prior authorization process altogether. According to the American Medical Association’s 2017 Prior Authorization Physician Survey, the majority of clinicians—64 percent—reported waiting at least one day on average for prior authorization processing. But when prescribers using Real-Time Prescription Benefit were presented with a prescription requiring prior authorization, along with an alternative without a prior authorization, prescribers switched the drug 28 percent of the time. This eliminated more than 158,000 hours of potential wait time in December 2018. Electronic Prior Authorization integrates directly with EHRs and delivers prior authorizations in real time at the point of care within minutes in most cases. As of the end of 2018, EHRs representing 77 percent of prescribers had signed on for Surescripts Electronic Prior Authorization. The top five specialties that used the solution in 2018 include family practice, internal medicine, psychiatry, pediatrics and neurology. According to the Centers for Medicare and Medicaid Services (CMS), prescription spending is projected to grow by an average of 6.3 percent annually between 2017 and 2026. This is higher than the projected 5.5 percent average yearly growth rate of healthcare spending overall. These increased costs are having a direct impact on prescription abandonment. In fact, a study in the American Journal of Managed Care found that even a $10 difference in copay can increase medication non-adherence by up to 10 percent. In other words, the higher the cost, the likelier it is that patients will have to choose between taking their medications as prescribed and using those funds for other essential expenses. 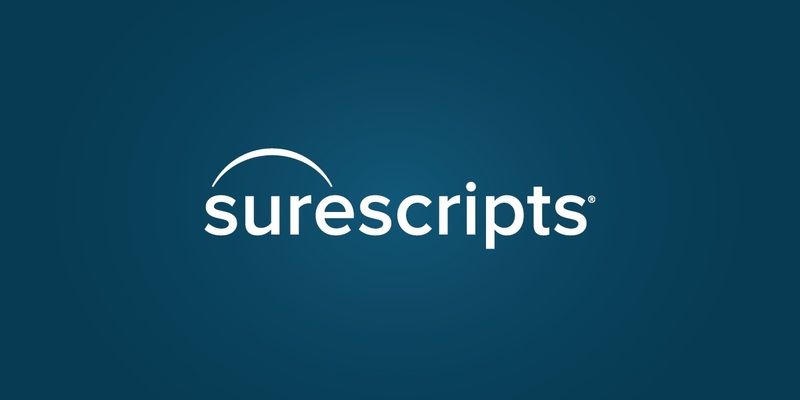 The Surescripts 2018 Impact Report: Prescription Price Transparency will be highlighted at HIMSS19. On February 13, Tom Skelton will join Dr. Troyen Brennan, Executive Vice President and Chief Medical Officer of CVS Health, and Dr. Steve Miller, Chief Clinical Officer of Cigna, on stage to discuss improving healthcare by making prescription drug cost and benefit plan information available at the point of care. HIMSS will stream the session live online. To learn more about the impact prescription price transparency is having on the cost, quality and safety of healthcare, download and share the 2018 Impact Report: Prescription Price Transparency.